Barbarossa The Russian German Conflict 1941-1945. Written by Alan Clark. Published by Perennial in 1985. This book tells the story of the war on the Eastern Front. It covers the lead up to Operation Barbarossa and ends with the aftermath of the fall of Germany. 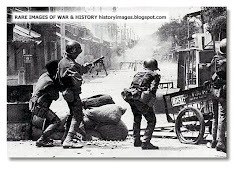 It is an amazing account of the most brutal of all campaigns. 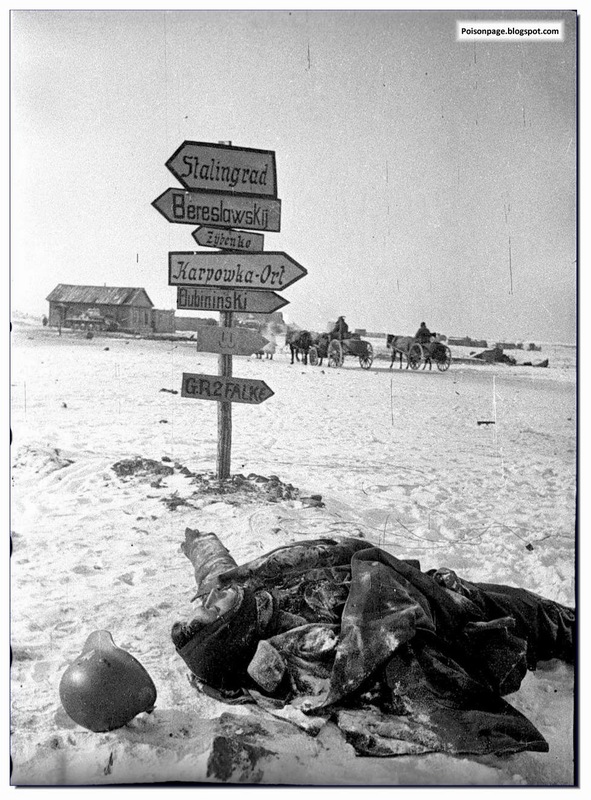 The scale of the Eastern Front battles is beyond comprehension, as is the loss of life on both sides. This is a fascinating read. Clark manages to convey the battles so as not to get bogged down with details, but still tells us all we need to know. I highly recommend this book. Scorched Earth The Russian-German War 1943-1944. Written by Paul Carell. Published by Schiffer Publishing in 1994. This new edition of Paul Carrell's eastern front study picks up where 'Hitler Moves East' left off. Beginning with the battle of Kursk in July 1943, Carell traverses the vast expanse of the Russian War, from the siege of Leningrad and the fierce battles of the northern front, to the fourth battle of Kharkov, and the evacuation of the Crimea. 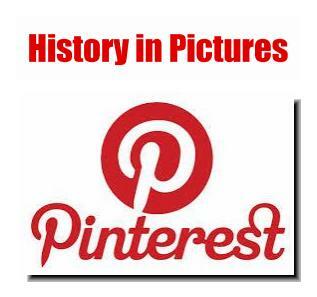 The book ends in June 1944 when the Soviet Armies reach the East Prussian frontier. 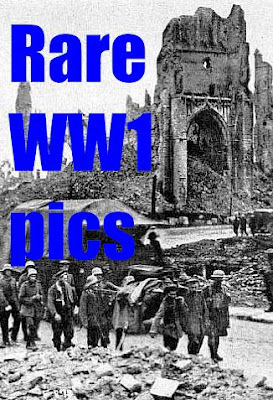 Hundreds of photographs, situation and campaign maps, a complete index and a comprehensive bibliography, add to this impressive account. Written by David Glantz. Published by University Press of Kansas in 1998. 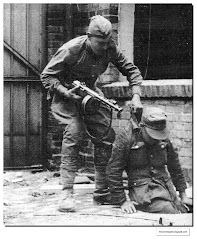 Until now the Soviet-German conflict of WW2 has been told largely from the German point of view. This authoritative account, based on newly released Soviet studies, emphasizes the Russian version of events. It reveals, to a greater degree than previously known, how unprepared the Red Army initially was and how the leadership gradually gained in competence during the Moscow and Stalingrad campaigns. 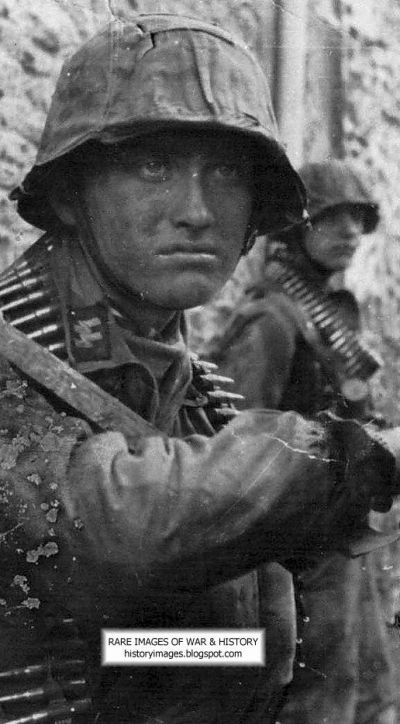 The author describes how the Wehrmacht eventually lost the ability to conduct a general offensive on a wide front while the Soviets learned to focus overwhelming force on a narrow front such as the Kursk salient. The book conveys the colossal scope and scale of the five-year struggle and puts the military aspect in a wider perspective. Kharkov 1942. Anatomy of a Military Disaster. Written by David Glantz. Published by Sarpedon Publishers in 1998. 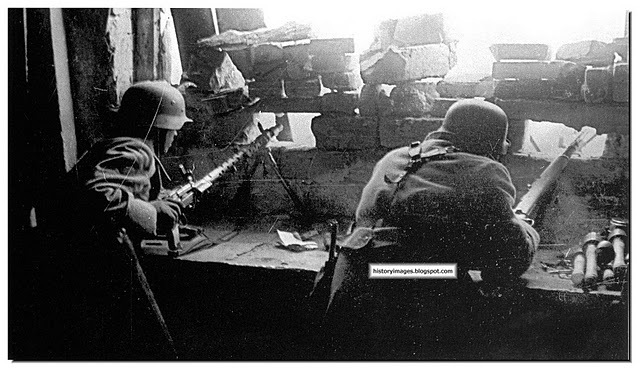 Kharkov was one of the last German victories on the Russian Front. This is a detailed examination of Soviet command decisions and German battlefield innovations in an important but neglected battle. In this eagerly anticipated book, America's foremost expert in Russian military studies addresses this neglect. Sandwiched as it is between more famous battles, every military history reader knows about Kharkov, but there has never been a book that focused exclusively on that campaign. David Glantz has now filled the gap. Zhukov's Greatest Defeat: The Red Army's Epic Disaster in Operation Mars, 1942. Written by David Glantz. Published by University Press of Kansas in 1999. Forgotten by history and virtually denied by the Soviet Union, the disastrous Russian defeat of 1942, in 'Operation Mars', is finally exposed in Glantz's exhaustive study of this massive battle on the Eastern Front. Glantz, a prominent historian specializing in Russian military operations, uses memoirs, official reports, and previously hidden archival sources to create a comprehensive view of this gigantic Soviet operation against the Germans just west of Moscow. Operation 'Mars' was commanded by Zhukov, one of Stalin's most trusted generals. 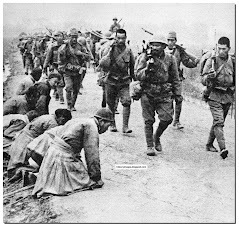 Zhukov threw hundreds of thousands of soldiers and thousands of tanks against the entrenched Germans but was utterly crushed. Glantz explores the Soviets strategic, operational, and tactical planning and execution of this offensive, with particular attention to Zhukov and his subordinates. The numerous maps and orders of battle are essential for a clear understanding of the scope of this major offensive and its complete failure. From The Don to the Dnepr Soviet Offensive Operations December 1942-August 1943. Written by David Glantz. Published by Frank Cass Publishers in 1991. In mid-December 1942, after encircling the German Sixth Army at Stalingrad, Russian forces began a series of offensive operations which continued unabated into February 1943. In these offensives the Russian High Command attempted to smash German resistance and encircle the bulk of two German army groups. 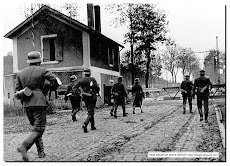 For two months the German forces struck back. In a well co-ordinated counterstroke they inflicted a major operational defeat on the Soviets and stabilized the front until the summer. The two-month period of offensive activity during the winter of 1942-1943 saw the Red Army test new operational and tactical techniques and experiment with forces and methods for conducting mobile armoured warfare. Through victory and defeat the Red Army learnt its lesson well. Out of this period, and the three month period of relative calm that followed, emerged the new Red Army, which would defeat blitzkreig at Kursk and would achieve two years of virtually uninterrupted battlefield success, culminating in their defeat of Nazi Germany. Before Stalingrad Barbarossa Hitler's Invasion of Russia 1941. Written by David Glantz. Published by Tempus Publishing Limited in 2001. Glantz is one of the leading historians to write about the Eastern Front and his work is solidly based on both Russian and German material. He has been at the forefront of a new generation of authors. Following the collapse of communism, an abundance of new archives and sources have come to light for the western historian interested on the Eastern Fromt. However, until recently his works have been limited to a specific place and time during the Nazi-Soviet War. These earlier works were also usually extremely detailed, technical and not at all edited for the general military-history reader. Glantz's Before Stalingrad, covers the fighting in 1941, from Hitler's invasion on 22 June through Stalin's counter-offensives that December. The book is more accessible and is written and edited for a more general audience than the bulk of Glantz's work. However, Before Stalingrad could serve as one's first book on Operation Barbarossa without losing the reader in minutia. The book begins with a background chapter on armies, equipment, plans and doctrine. Glantz then breaks down the fighting according to major operations and where appropriate, strategic machinations in the headquarters of both dictators. Each chapter is brought to a close with thorough endnotes. Appendices include Fuehrer Directives plus some Russian planning documents and an excellent order of battle of forces. This volume begins with an investigation of Operation Barbarossa, the German invasion of the Soviet Union in June 1941. It draws upon eye-witness German accounts of what occurred, and supplements these with German archival and detailed Soviet materials. The Soviet government has released extensive amounts of formerly classified archival materials from the period. This material has been incorporated into the maps and text. Stalingrad in the Second World War has become a by-word for misplaced military endeavour - and courage, endurance, heroism beyond all human belief. 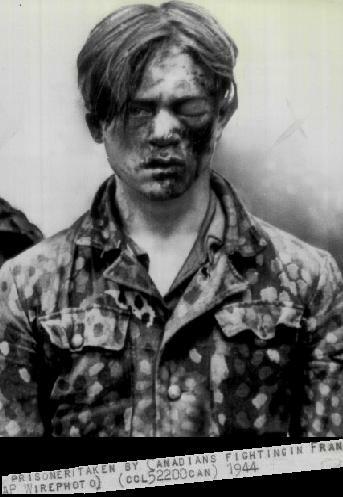 Joachim Wieder survived the German collapse, and the subsequent years in Soviet captivity, to write his memoir of the battle in 1962. It was no routine account; he found it necessary to re-examine what motives drove the Germans on in the face of hopeless odds, why orders were issued that could only lead to certain death, the lies promulgated by high command, the whole morass of unjustified and pointless conflict. This is an absorbing evaluation of war, revised in 1993 in the light of later information on the battle, and available now in English for the first time. It was the first German book on Stalingrad to be published in the Soviet Union. Written by Bryan Fugate and Lev Dvoretsky. Published by Presidio Press in 2001. This superb campaign history shatters a long-held myth and suggests that the Red Army turned the tide not at Stalingrad, but much earlier at Yelnia. 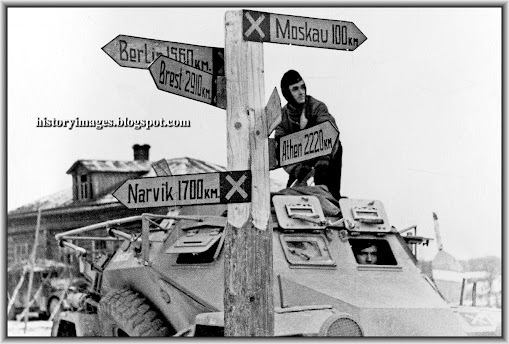 It was at Yelnia that the Red Army first slowed the German drive east, ambushing Army Group Centre, taking Guderian and Halder by surprise and announcing the start of the Soviet defence in depth which culminated in the battle for Moscow. The mastermind behind this key operation was General Zhukov and it was during the crucial fighting around Yelnia that Zhukov and the Russians first dulled the cutting edge of German blitzkrieg and smashed the myth of invincibility of the vaunted panzers. Fugate and Dvoretsky's work is well-researched and draws on both German and Russian sources. It stresses not only the careful preparations of Russian commanders but also the importance of this long-neglected episode and its impact on the defeat of the Wehrmacht. Written by Rolf Hinze. Published by Helion & Company in 2005. This is a penetrating and detailed account of the climactic battles of the German forces in Slovakia, the Carpathians, parts of Poland, Silesia and Saxony, from autumn 1944 until the end of the war. The author provides excellent detail on the movements and actions of numerous German units, and the text covers all major actions including the battle for the Vistula bridgeheads, the epic siege of Breslau, and the final desperate actions around Bautzen and Dresden. Appendices include comprehensive orders-of-battle. A large number of detailed battle maps are also included. Written by Nick Cornish. Published by Ian Allan Ltd in 2006. This book examines in detail the final six months of the war on the Eastern Front. It records the gradual and inexorable march of the Red Army towards the ultimate victory. With a narrative drawn from a variety of sources, including first-hand accounts from those who actually fought in the war, the book records the advance of the Red Army through Poland, Hungary and the Balkans and into Germany itself, and is a sobering account of the destruction of this final phase of the war in the East. Written by Albert Seaton. Published by Presidio Press in 1993. 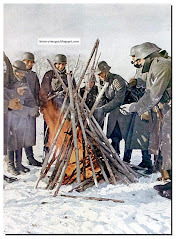 This study of the war on the Eastern Front is an interesting mix of fine detail and an overview of the strategy employed by the Russians and Germans during WW2. This book is not a light read, but it is punctuated by some fascinating insights into military and diplomatic strategy. The author examines each of the major battles in turn, providing details of the armies, their commanders and the terrain over which the war in the East was fought. The detail can be unrelenting at times, and if this book has a weakness, it is that it needs to be punctuated by pictures (of which there are none), more biographical details about the commanders (of which there is some excellent coverage) and more maps (with better graphics) to help the reader get a clear understanding that the mass of information on its own fails to provide. This book is probably required reading in military academies around the world, as it brings out the strengths and weaknesses of the tactics and strategies employed by both sides. Written by Albert Seaton. Published by Spellmount Publishers in 1993. Reasonably competent retelling of one of the major battles of WW2 and how the Wehrmacht, for the first time, failed in a land offensive. This book is a history of the Russo-German conflict but is based mainly on German sources. Written by Antony Beevor. Published by Penguin Books Ltd in 1999. Stalingrad is a momentous and monumental book. It is effortlessly translated into a highly readable narrative. The author has raided the archives to bring an honest account of the titanic tussle between Hitler and Stalin in battle for the symbolic and strategic stronghold of Stalingrad. What Beevor truly achieves is an accessible and neat balance between the complexities of the war map with its myriad names of armies, officers, places, battles and mobilisation and the personal recounts recovered from letters and documents. Stalingrad is a big history book, and an important one, but it is never just academic, dry or dull. What it does do is read as an epic drama. It just deserves to be read. Written by David Glantz. Published by University Press of Kansas 1999. This is the definitive book on the battle of Kursk. It is by far the most complete assessment of the battle that has yet been offered. The authors do an excellent and thorough job of establishing the context of the battle. Glantz offers a very detailed description of the fighting, often identifying regimental or battalion-level units. The description of combat is not particularly vivid or exciting, but if the reader is looking to find out where a particular regiment was and what enemy unit it was fighting, the book is likely to have the answer. In this sense, the sheer volume of detail and factual material is enough to allow me to judge the book a success. It contains information that could otherwise be gained only by consulting many different sources. Written by Robin Cross. Published by Penguin Books in 1993. 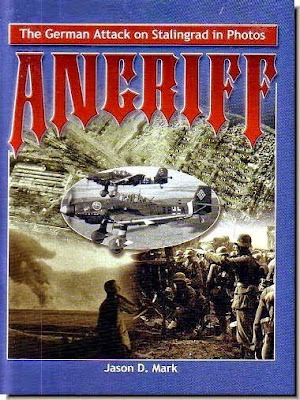 This book was first published in hardback in 1993, at a time when the 'Ostfront' was rather less well known in the West. This is the first book to be written on what was probably one of the decisive battles of the war. Like Napoleon, Hitler only understood offensive warfare, and Operation Citadel was a huge gamble, coming so soon after the defeat at Stalingrad. Of special interest is the chronical of the repeated delays in getting the offensive started. The climax of the battle, around the village of Prokhorovka, gets a full chapter in itself. Written by Paul Adair. Published by Cassell Military in 2000. Hitler's Greatest Defeat is an amazing in-depth study into one of Hitler's greatest mistakes. 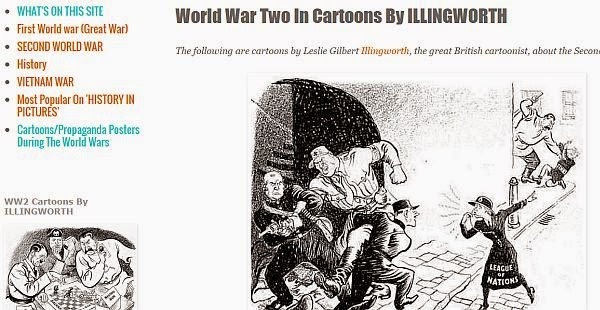 With the world following the progress of the Normandy landings, the dramatic happenings on the distant Russian front were for many years destined to be ignored. 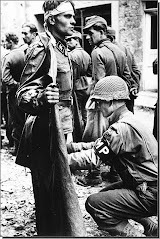 Now 50 years later, a full length study of the defeat of Army Group Centre shows that a disaster greater even than the Allied invasion in France was inflicted upon the Germans many miles to the east. In this fine example of succinct analysis and accurate description, Paul Adair leads the reader through the build up to the campaign with studies of the German Army and its command structure and of the Soviet forces under Stalin. Written by Tony Le Tissier. Published by Frank Cass in 1999. 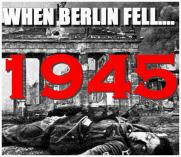 The soldiers of the Red Army identified the Reichstag as the victor's prize to be taken in Berlin. Stalin had promised Berlin to Marshal Zhukov, but the latter's blundering in the preliminary breakthrough battle threw his timetable and forced a complete change of plan for reducing the city. Stalin used the opportunity to chasten his subordinates by allowing Marshal Koniev, Zhukov's rival, to introduce one of his tank armies into the competition unknown to Zhukov. Abandoning the rest of his army group, Koniev personally directed this army in the hope of grabbing the prize. Meanwhile, the Germans improvised a defence with inadequate resources. 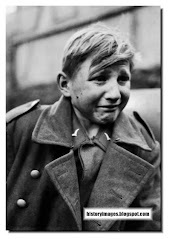 The remains of General Weidling's 56th Panzer Corps were reluctantly dragged into the city in a futile attempt to prolong the life of the Third Reich, whose leaders squabbled and schemed in their underground shelters, a world apart from the reality outside, where their subjects suffered and died unheeded. 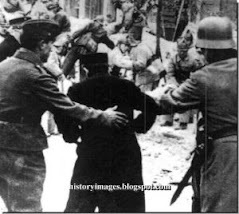 Ten days later, after the successive suicides of Hitler and Goebbels, the survivors chose between breakout and surrender. 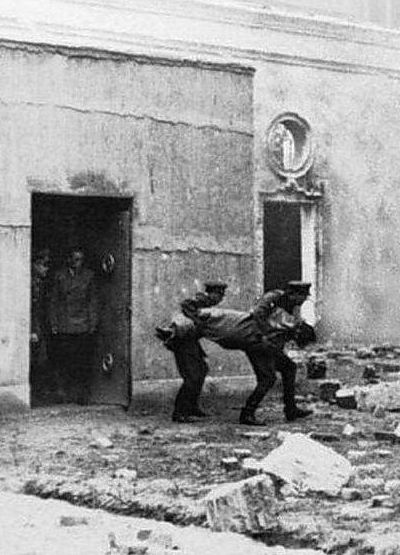 This account of the battle lays the many myths created by Soviet propaganda after the event and details what exactly happened as the Red Army and the Allies raced to be the first to the Reichstag. Written by General Erhard Raus. Published by Greenhill Books in 2006. Written soon after World War II, this work details the tactics of the Germans and their Soviet opponents. It also tells the secrets of panzer tactics. General Erhard Raus was one of the German Army's finest panzer generals and a leading exponent of blitzkrieg in the east. German panzers were witnesses to the incredible onslaught that was the first few months of Barbarossa, then the gradual strengthening of Russian resistance, counterattack and, ultimately, the long and drawn-out German retreat. Raus and his panzers were tested in every conceivable tactical situation and, inevitably, Raus became highly versed in all aspects of mobilised warfare. This account by Erhard Raus, edited by leading Eastern Front expert Peter G. Tsouras, concentrates on German efforts to relieve Stalingrad. 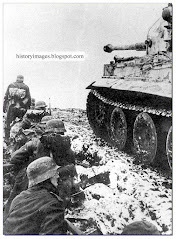 Raus, as commander of 6th Panzer Division, was in the thick of this bitter action, urging his panzers forward in a massive effort to break the Soviet strangle-hold. These journals were originally written to brief the US Army at the height of the Cold War. Written by Steven Zaloga and Leland Ness. Published by Sutton Publishing in 2003. During a desperate war of attrition, which stretched over four years, the Red Army defeated the German army on the Eastern Front and won lasting fame and glory in 1945 by eclipsing the military might of the Wehrmacht. From the army's development prior to the outbreak of war in 1939, to it's peak in 1945, every aspect is examined here. The organizational structures, armour and mechanized forces, cavalry, airbourne and special forces, along with a technical overview of infantry weapons, armoured vehicles and artillery, and support equipment. Fully illustrated with a comprehensive selection of archive photographs, charts and tables of organization, this is a useful source of reference for anyone interested in the Red Army during WW2. Russian Tanks of World War II. Written by Joseph Page and Tim Bean. Published by Motorbooks International in 2002. This authoritative history of Russian tank forces during World War II reveals their development from the early post-revolutionary era right through to the ultimate victory in Berlin in May 1945. The book contains some 200 contemporary photographs, many of which have never been seen before. The photographs include images of tank training in the 1920's and 1930's and many compelling pictures from some of the major tank battles of the day. Written by Harold Shukman. Published by Weidenfeld & Nicholson history in 2001.